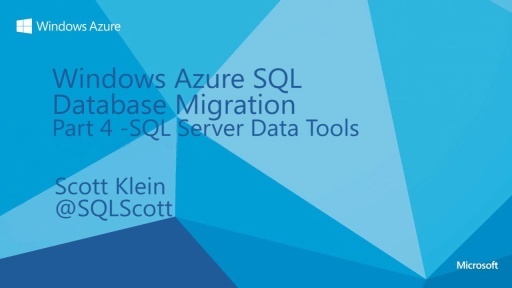 In this episode Scott Klein is joined by Tony Petrossian – Group Program Manager for business continuity in Azure SQL Database, and Tobias Ternstrom – Principal Program Manager Lead for performance in Azure SQL Database. 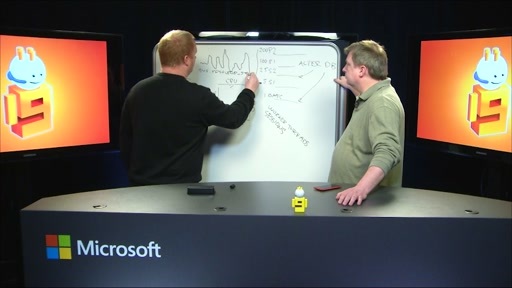 In this episode Tony and Tobias tell us all about the new Microsoft Azure SQL Database new services tiers. The new tiers are designed for more predictable performance and will also help remove some workarounds and for customers. Additionally, we talk about how the new tiers offer a spectrum of business continuity features, a stronger uptime SLA at 99.95%, and larger database sizes up to 500 GB for less cost. The most relevant question is: can you take an existing web/business database and move it to one of the new service tiers? @cbae: From what I saw in video, the basic, standard, and premium options will show up in the portal along with the current web and business choices. My question is .... Given what sounds to be a really new pricing/performance model, how is a business partner expected to study their customers usage under current application logic, determine the peak to choose the proper new basic/standard/premium, then change the application logic to possibly auto-scale (given most customers usage will be peaks and valleys and not a steady set rate), then study their customers usage under the new application logic to come up with new pricing ..... and then finally have enough time remaining to inform their customers of pricing changes coming to them before the April 2015 date hits? How does the performance of the previous "Web" level compare to the new "Basic" and "Standard"? Ok this looks great! What are the service limits on the number of Databases i.e. is it practical to use the basic tier in a Saas app where we have 1 db per customer? @cbae: Yes you can. Right now we don't support Web & Business editions in the same logical server as Basic & Standard (but we do with Premium) but this will change in a matter of weeks. @Josh: This is a very good question. The simple answer is that it doesn't as Web/Business don't adhere to a specific performance goal, this means that performance can move between something lower than Basic and something faster than S2. We are working on a blog-post/article covering this question and others in more depth. @Sean: The limits are not different from Web/Business, i.e. you can start with up to 150 Basic/Standard databases per logical server and also request to have that limit increased. I can't say how pleased I am that Azure SQL is getting some focus from MS (finally!). But I'm really struggelig to understand the relationship between servers and dbs. Since there's no cross-db SQL allowed, what's the point of having servers? And do you always pay Basic, S1,S2,P1-3 per DB or per server? Say you have a lot of small DBs that need high perf: Would you consolidate all DBs into 1 using schemas for instance? 1. If we have a "Web" tier database right now and we were to update to "Premium" today using the Scale tab, would we then be in a position where we could download to "Standard" or "Basic" thus getting off of the "Web"/"Business" tiered system over to the new way of doing things ? Would this maintain the same connection string ? 2. If we have a "Business" level SQL Azure database that we have Federations in and we remove all of the Federated items, will we be able to migrate this up to the Premium level, or will the fact that there used to be federated data in it cause issues.